Admission is free. Reservations required. 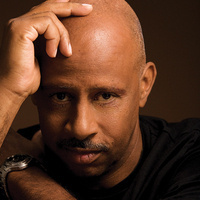 RSVP beginning Wednesday, February 27, at 9:00 a.m.
Ruben Santiago-Hudson is one of the most accomplished theatre artists of his generation. In conversation with USC professor David Román, the Tony Award–winning actor, playwright, and director will discuss his inspirations and accomplishments, including the revival of his Obie Award–winning Lackawanna Blues at the Mark Taper Forum. Depart USC at 7 p.m.; return at 10:30 p.m. Presented by USC Visions and Voices: The Arts and Humanities Initiative. Organized by David Román (English and American Studies and Ethnicity) and the USC School of Dramatic Arts.